Is le croí thar a bheith trom gur fhágamar slán le Táilliúir Ní Mhurchú, iar-scoláire ár scoilne, a d’imigh ar shlí na fírinne ar an Satharn seo chaite an 27 Eanáir 2018. Naoi mbliana déag a chaith Táilliúir ar an saol seo agus tá sí imithe uainn i bhfad ró-luath, in am mar a dúirt an tAth Roderick ag a socraid gur chóir dá saol a bheith ag teacht i mbláth. Tháinig Táilliúir chugainn i 2002 agus do las a meangadh gáire suas an saol ina timpeall. Bhí dlúth-chairde aici ón tús agus bhí sí dílis dóibh agus iad di. 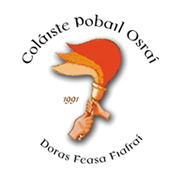 Ghlac sí páirt le fuinneamh i saol na scoile agus dúil aici sa bhfoghlaim. Bhí sí i gcónaí ag faire amach agus ag tabhairt aire do pháistí níos óige ná í féin agus i gcónaí béasach, spraíúil, cabhraitheach le múinteoirí agus foireann na scoile. Bhí an-suim aici san ealaín agus dár ndóigh níos déanaí sa smidiú agus stíl. Bhain sí triail as gach rud a bhí á dhéanamh sa scoil. Ghlac sí páirt i bhfoirne peile agus camógaíochta ar mhaithe lena cairde agus saol na scoile. Mothaímid uainn go mór Táiliúir. Seasaimid lena Daid Declan agus lena Mamaí Aisling. Táimid ag roinnt an briseadh chroí atá ar a dheartháireacha Caoimhín agus Shane agus dár ndóigh, a deirfiúir álainn Ellie atá fós linn i Rang a 4. Tá ceathrar cholceathrar linn faoi láthair agus grúpa cholceathracha eile mar iar-scoláirí. Casaimid go minic lena Daideo Des a thagann chun na scoile agus a Mamó Catherine. Comhbhrón chomh maith dá sean-tuismitheoirí eile Paddy agus Marie Ryder, dá huncail, aintíneacha agus an chlann ar fad. 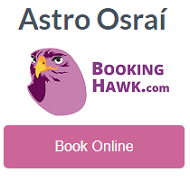 Bhí ciorcal mór cairde ag Táilliúir agus seasaimid leo ag an am deacair seo. Guímid sláinte maith agus dóchas orthu ar fad. Faoi dheireadh, bhí Táiliúir an-dílis don Ghaeilge agus d’ár scoil i gcónaí. Tháinig sí chun na scoile san idirbhliain agus d’eirigh go hiontach léi ar a taithí oibre. Ní bheimid mar an gcéanna mar scoil-phobail gan í ach déanfaimid gach iarracht a meangadh gáire a choimeád inár gcuimhne agus a dearfacht anseo linn d’ár gcoimeád sa tsiúil. Beannacht Dé ort Táilliúir agus go mbeadh leaba i measc na Naoimh anois agat. It is with a very heavy heart that we bid farewell to our wonderful past pupil, Táilliúir, who left this world last Saturday, January 27th. Táilliúir had just nineteen years of life among us and has left us at far too young an age, at a time as Fr. Roderick said at her funeral mass when she should just be entering the blossoming of her life. 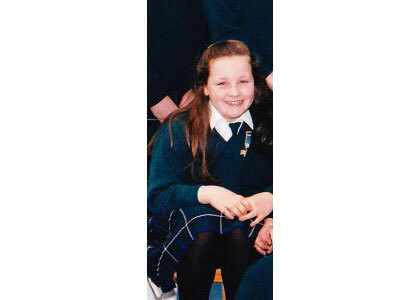 Táilliúir came to us a Junior Infant in 2002 and her infectious smile lit up the school immediately. She quickly made close friends and remained loyal to them. She took an energetic part in everything that went on in the school and as her teachers described would try everything. She was particularly good at looking out for and helping younger children in the school and was always mannerly, fun-loving and helpful to all staff members. She had a great interest in art in class and of course later in her make-up and style. She also played football and camogie in order to be fully involved with her class and school teams. We will hugely miss Táilliúir. We stand in full support with her Dad Declan and her Mum Aisling. We share the grief of her brothers Kevin and Shane and of course we will support her loving sister Ellie who is still with us in fourth class. Her Grandad Des is a regular visitor to the school and we extend our sympathy to him and Táilliúr’s grandmother Catherine as well as her other grandparents, Paddy and Marie Ryder, to her aunts and uncles and all her extended family. Táilliúir has four first cousins in our school and an equally large group of cousins who are past-pupils. Táilliúir had a large group of friends, many of them her former classmates from Gaelscoil Osraí. We send them our sympathy and support and we wish them the strength of health and hope at this difficult time. Finally Táilliúir was always loyal to our school and her native language. She came to us on her transition year work experience and got on brilliantly here. We will not be the same as a school community as a result of her loss but we will do our level best to keep her wonderful smile in our memory and to reflect her positive attitude in what we do. God rest you Táilliúir and may you sleep soundly among the saints in heaven.